Eliminating the faff of bricklaying and plastering, Swiss-born, Berlin-trained architect Walter Segal was one of many wartime Jewish immigrants who made it to these shores and changed the history of modular architecture, arriving in 1936, he later devised a system of self-build that was so low maintenance that families were able to construct their own homes. His first modular house came about in the Sixties after he married second wife Moran Scott and moved in with her. 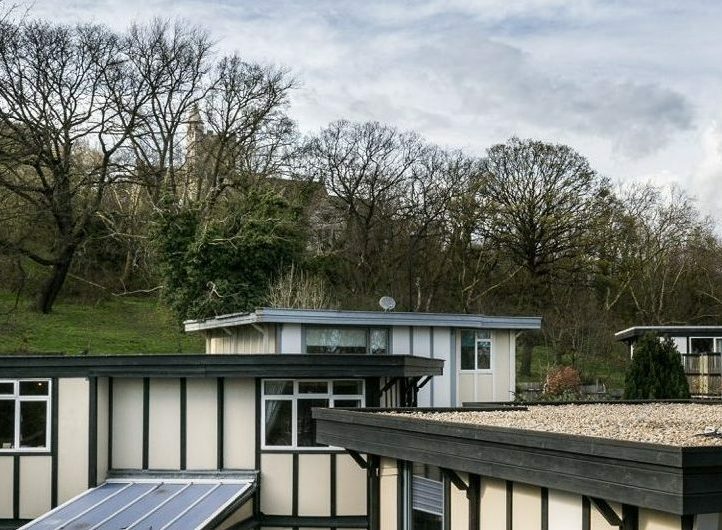 To gain more living space, they demolished and rebuilt Scott’s house but, while they were doing it, they built a temporary structure in the garden using cladding and built on a light foundation of paving slabs that took no more than two weeks to build and cost £800 (about £10,000 in todays money). “The Little House in the Garden” was a hit with locals and friends and led to some press interest which then got Segal commissions using a similar style in several parts of the country. Thanks to Lewisham council Walters Way and Segal Close are the product of one of Segal’s more unusual housing projects that evolved into a self-build project after the builders were sacked by one of the earliest home-owners who told Lewisham council he wanted to build it himself. Segal was all for it, which encouraged others to do it too. The “Segal Method”, a modular, timber-frame system that keeps foundations minimal and roofs, on the whole, flat, relies on the geometry of its construction for strength. With nature kept wild around it and windows big enough to highlight the ever-changing landscape you can see why the owners of these timber buildings are so passionate about them. In fact when he died before Walter’s Way was completed, residents insisted the roads were named after him and so Segal became the only living architect to have two London streets named after him: Walters Way and Segal Close. “The Segal Method” houses are now coveted by architects, designers and photographers like Taran Wilkhu and writer Alice Grahame who hope to sell a few books illustrating their shared passion for each of their homes in Walter’s Way as well as nearby Segal close in South East London at our Midcentury Modern® show this Sunday 19th November.